Title: Estats de la Couronne de Pologne. 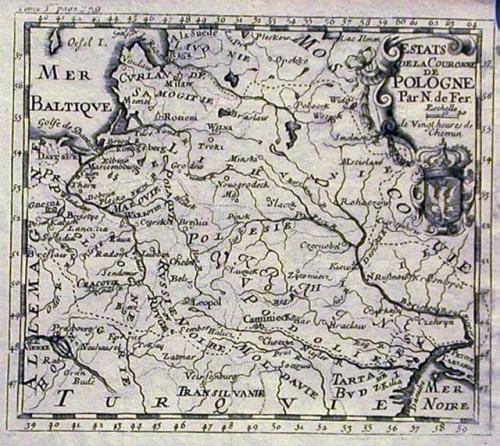 A strongly printed map of Poland stretching from 'sea to sea'. A finely engraved cartouche. Folds as given.